The Steering Group, with the help of community and university volunteers, is slowly getting on top of the mass of data provided by residents in response to the various consultations that have been held. It may have looked as if everything had slowed down but underneath some furious paddling has been going on since mid-January, with the object of getting all those data into a form where they can be published. At the Steering Group’s April meeting we expect to have a complete overview of all the hard work and the intention is that Summaries of the analysis will shortly afterwards be placed in the public domain. In the meantime, our Document register has kept growing with additions having been made to the Background Documents and the Evidence Gathered sections. If you’d like to know more about School Places in Wivenhoe for instance, then that’s the place to look. 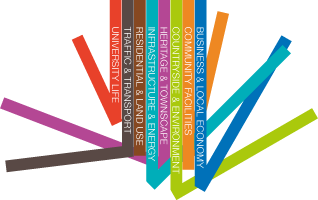 So what’s the Vision for Wivenhoe? That’s another thing that’s being worked on right now. The thing is: there must be heaps of people with very good ideas but it must be some other heap…, because although I read inspiring ideas in Wivenhoe News Spring edition, nothing has sprung off the printed page and into the Neighbourhood Plan Group- which is the place where those ideas need to be heard!